The #1 Pittsburgh Moving Company! Gardner Moving provides residential and commercial moving services throughout Pittsburgh and the surrounding area. With a team of highly trained moving specialists, our services are designed to help make your transition seamless as you move from one location to another. We handle all Pittsburgh commercial and residential moves, regardless of size. Moving long distance? We handle long distance moves within the eastern half of the United States. In addition to moving services, we offer Furniture Delivery, Piano Moving, Packing, and Storage. Contact us to learn more about our Pittsburgh moving and storage services. 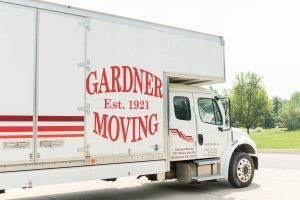 Why is Gardner Moving the leading Pittsburgh moving company? We are proud to have nearly a full century of experience serving customers in and around the Pittsburgh area. 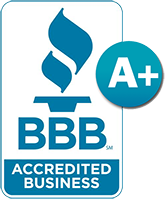 Our staff is highly trained and professional, and our qualifications include full licensing and insurance, as well as a strong commitment to superior service. With Gardner Moving, you can be sure that your belongings will be treated with care and expertise. Now in its fourth generation of business, Gardner Moving was established in 1914 in the South Side of Pittsburgh, operating out of a barn and stable, using horses and wagons, which were the means of conveyance at the time. The business transitioned to trucks in the mid-1920’s, and built a garage in Pittsburgh‘s South Side. In 1955, the business was passed on to Louis’ son, Joseph F. Gardner, serving the South Side and the surrounding area. In 1976, Joseph P. Gardner (3rd generation) took over the reins of the company, expanding the reach of service into the suburbs of Pittsburgh. In 1980, Joe’s brother, Michael W. Gardner, joined the business after completing his duties in the U.S. Army. Together the brothers grew the business by expanding their local capabilities and establishing long distance moving services while keeping the spirit of personal attention and service at the forefront of their business. In 1996, the company purchased land in South Fayette Township and built a Warehouse/office and Self-Storage Facility, Secure Storage Inc., Which now serves as a base of operations. In keeping with family tradition, Joe’s sons, Mike E. and Mark, joined the business in 1993 and 1997, respectively. Joe’s wife, Kathy, managed the office from 2002-2013. Michael W.’s wife, Lynn, and his daughter, Alexandra, are also on the team as office managers, having joined the company in 2007 and 2014, respectively. The Gardner family is proud of their long legacy of service to the Pittsburgh area and looks forward to serving your family soon. Gardner moving moved us today from a house to an apartment. They were excellent! The three man crew showed up right on time, were friendly and efficient. Nothing was broken or damaged and the price was below the estimate! We highly recommend them. Zach and the moving crew moved us on 11/21/18. 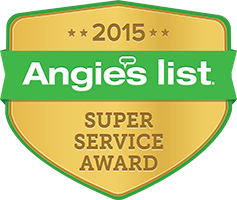 They were very professional and worked extremely hard to ensure our move went quickly and smoothly. The price was very reasonable and came in under the estimate. The guys took great care of our possessions. I would highly recommend Gardner Moving!! I was struggling moving a piece of furniture to my apartment, and luckily a powerful gentleman in a Gardner Moving tshirt that was driving by pulled over and offered to help out of the kindness of his heart. Thank You! When I need a moving service I will remember to rely on Gardner. They moved me for my 6th professional move. These guys were by far the best moving company I've ever used. They packed everything properly and took care with both my possessions and home. It was pouring rain on my move day and we didn't have grass at our new home yet. I thought for sure I'd be cleaning up mid for weeks. Instead, they called extra workers, half stayed inside and half outside. The outside movers took the items from the truck and handed them over to the inside movers. This way none of the mud came into my home. I was shocked at how thoughtful they were and how well it went. Thank you! moves, other companies always sent 2-guys, Gardner sent 4 of them and they all worked really hard. I will highly recommend this moving company to anyone that ever asks. Take it from someone that has used 7 different moving companies, they are the best!